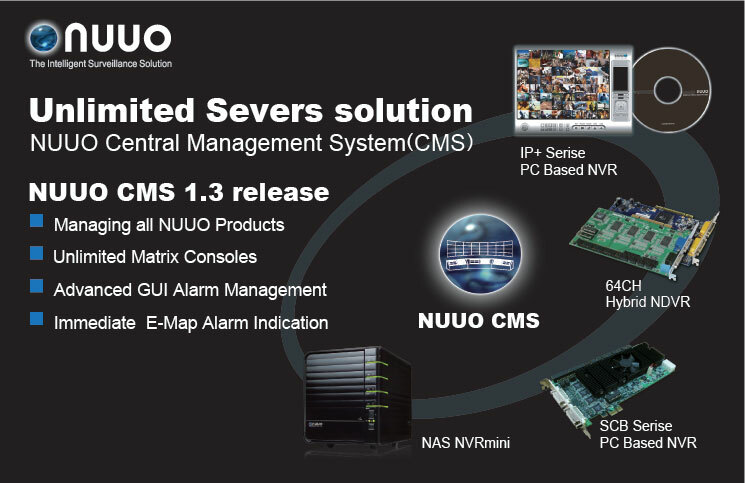 Welcome to visit NUUO @ INTERSEC, you’re kindly invited to witness the latest IP/Hybrid/CMS Solution and have chance to get free 1CH NVR License! The largest Toyota showroom and service center of Balkan Europe, located in Sofia, Bulgaria, has deployed the NUUO network video management system and IQinVision HD megapixel network cameras. Maxtel Ltd is the integrator in charge of system design and installation. This show room is a large complex with a used car lot, a service area and the main new car show room; in total some 11,000 square meters. Therefore, a highly efficient surveillance management system and smart detection/alarm system is necessary. The Toyota dealer’s manager uses surveillance video for overall security to protect against theft, vandalism, trespass, and to improve management practices. Their ultimate goal is to improve customer service. The video surveillance system monitors the service areas, in addition to the used car lot, in order to check the progress and location of service technicians, to monitor the cars being worked on, and to know which cars have completed servicing. The NUUO surveillance system manages up to 50 IQeye IP cameras, ranging in resolution from VGA to 3-megapixel, to monitor the main showroom, a large parking lot of used cars, and the service areas—a complex of 11,000 square meters in all. The NUUO management system provides high-quality video with the support of H.264 compression format to reduce the storage cost of megapixel cameras. The system keeps recording during business hours and only records on motion after working hours. NUUO utilizes 6 kinds of smart detections and 10 triggered alarms, which not only save storage cost, but also reduce the risk of leaving any suspicious event unrecorded. In addition to motion detection, the NUUO system also features foreign object detection video analytics for more effectively monitoring critical surveillance zones. With NUUO intelligent surveillance software, the security manager can set different system entrance limitations to different levels of employees. In this system, live and recorded video is only available to the security manager and the business owner in order to ensure the safety and privacy of data. Both the security manager and the owner utilize NUUO Remote Live Viewer, which supports up to 128CH at one time, to check operations when they are not on-site. This is very user-friendly for the manager who can thus monitor the situation of the show room at anytime, from anyplace. The video is stored for 20 days to ensure that there is time for any potential incidents to be identified and properly investigated. The dealership has deployed IQeye 3-megapixel cameras for perimeter protection and for the parking lot and building entrances in order to have a broader view of these wide areas. VGA and 1.3-megapixel IQeye cameras are used to monitor the service areas. To date, the end user has been very satisfied with image quality, system stability, and overall ease-of-use. To get free 1CH NVR License! Please fill in the following table , send to tina@nuuo.com and come to NUUO Booth during Jan 17th to 19th 2010. You have to register first to get 1CH NVR License for free!